PhillyHealthWatch Host Tiffany Bucciarelli and Philly2Philly's Joe Vallee talk about how you can get involved this week on "What's With You?" 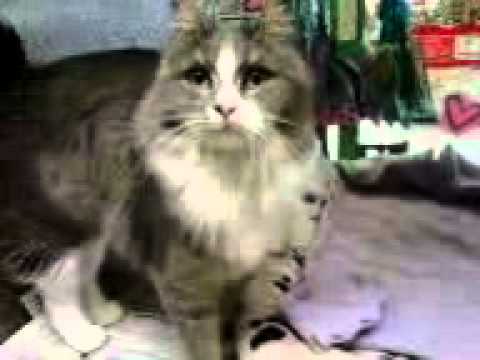 Farrah is a gorgeous grey/white long-haired female who loves catnip and playing with toys. She would do best as an only cat, is up to date on shots, tested negative for FIV/FeLV and spayed. Anyone interested in adopting Farrah can visit the Northeast Animal Rescue inside the PetSmart at 11000 Roosevelt Bvld., or fill out an application at nar.rescuegroups.org. Music video produced for Philadelphia recording artist Felicia Punzo shot by NIck Lanciano of Lanciano Productions. Philly2Philly's Joe Vallee and PhillyHealthWatch's Tiffany Bucciarelli host "What's With You?" every Wednesday! Philadelphia Flash Mobs- As they SHOULD be! Local Zumba instructor Brooke Blair and friends take to the Philadelphia Art Museum steps to give a proper flash mob. "The Adventures Of Rain Dance Maggie" by Red Hot Chili Peppers from 'I'm With You.' Video directed by Marc Klasfeld in Venice Beach, CA. 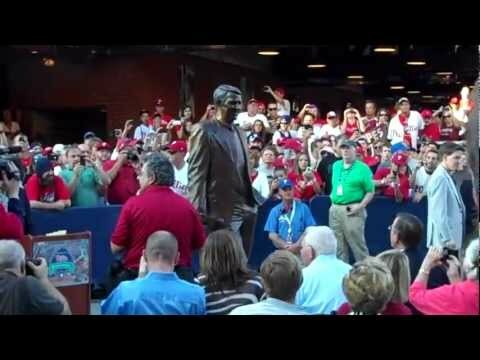 Phillies PA Announcer Dan Baker counts down the unveiling of the Harry Kalas statue with help from Jimmy Rollins and Steve Carlton at the Phillies' Citizens Bank Park, August 16th 2011.